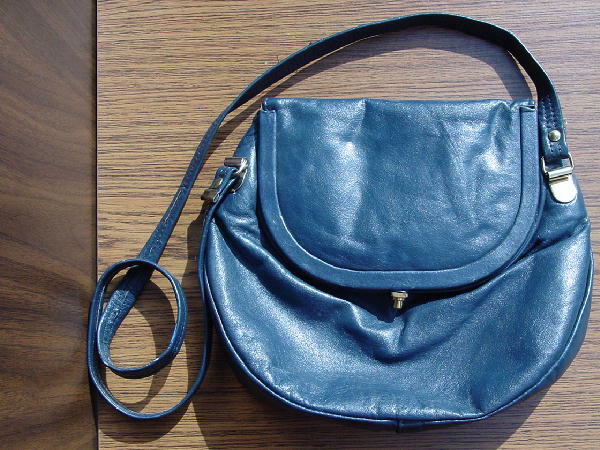 This vintage navy blue fishing bag style purse has a 39" long shoulder strap. The wheat fabric lining has Letisse written all over. 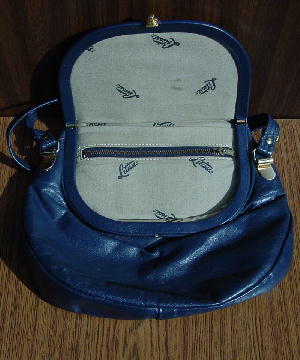 It has a big interior zipper pocket that is lined in black fabric. It has a gold-tone opening/closing ornament and gold-tone strap holders. It was used in a magazine photo shoot with blue Oscar de la Renta slacks and a cream and navy blue Betsey Johnson short baby doll dress.